Vinegar There are 3 products. 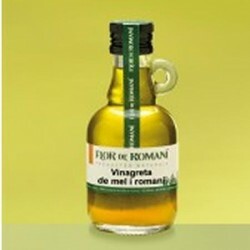 Vinaigrettes, for seasoning various dishes. Very tasty and different ingredients. Vinegar is made up of 93% water and the rest are minerals, so their calorie content is very low, a feature that makes it ideal as a condiment in low calorie and low-sodium diets, since salt content is negligible. 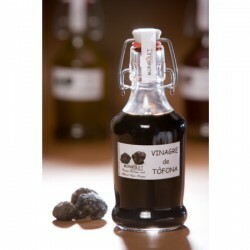 The importance of this product is the variety of uses it can have, as a condiment, preservative, flavoring or flavoring. They preserved their properties are widely used in industry because it can confitar or marinate foods. Sweet-sour vinaigrette, of sweet pungent aroma, special for dressing any kind of salad, specially those including fruits, tomatoes or cheese. 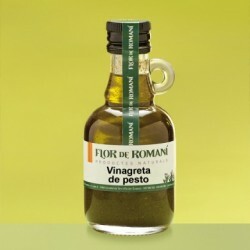 It is also an excellent condiment for boiled or steamed vegetables and white meat . Gluten free.